Do you remember the movies where alien forces use laser guns in battles? Well, lasers are a very famous piece of technology. These were once considered as high-tech gadgets, but today modern science made lasers very common technology used in everyday life. 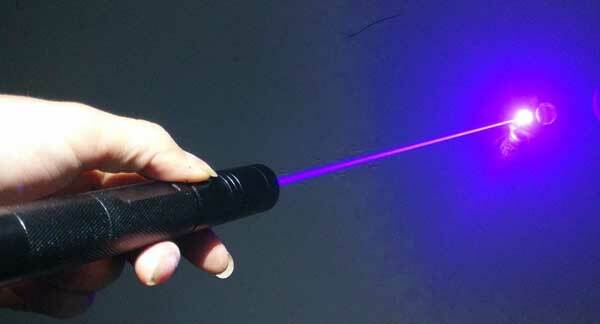 A laser is just a device that emits light, but it is different from light bulbs or LEDs. So, what makes them different? The main difference is that lasers emit coherent light. So, what is coherent light? Coherent light has all its waves in phase with each other – It means their crests (upward bulges) and troughs (downward bulges) line up together. Also, the lasers emit monochromatic light or a single wavelength of light – they don’t have a bunch of colors, but only one. So, what is special about coherence? The coherence of light allows a laser to focus on spots very tightly. Other sources of light such as light bulbs don’t give coherent light. As a result, their light is spread in all directions throughout the empty regions e.g. rooms. Furthermore, Laser’s coherence allows it to focus very precisely, which is very useful in many applications. The working of LASER lies in its name. The LASER is not just a name but it is an acronym, which stands for “Light Amplification by Stimulated Emission of Radiation”. Let’s understand its working step by step. The electricity from a battery cell excites the atoms of semiconductors material inside the laser. As result, the electrons of these atoms move to higher energy level. The electrons of excited atoms when falling back their normal level emit photons of light. The emitted photons of light are allowed to reflect back and forth on two parallel mirrors. This results into stronger and stronger beam of light as suggested by word “amplification”. The photons that are not able to reflect back and forth due to the wrong angle, they go back and strike the atoms again. 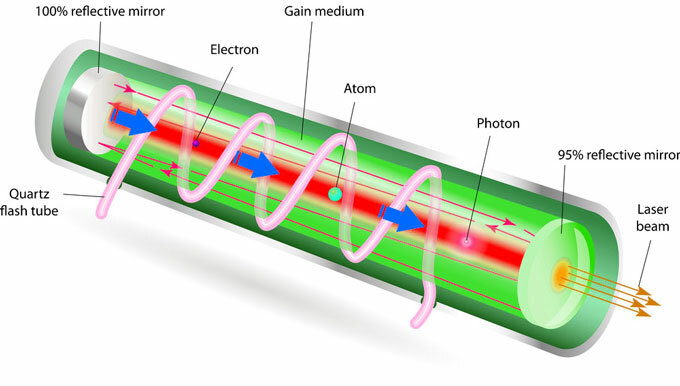 As a result, two coherent photons are emitted – called “stimulated emission”. The one mirror from the two reflects light partially – means it allows some of the light to pass through it. When the beam become sufficiently strong, it goes through the partial reflecting mirror and hits the spot where the laser points. Lasers are very useful technology and it has revolutionized many fields. Some uses of lasers are discussed below. Today we are able to access very fast internet connections. This is due to the use of optical fiber cables. 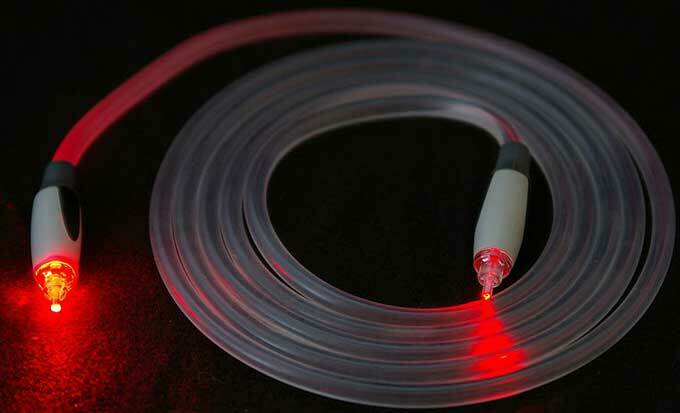 Optical fibers carry the information signals in form of laser-light from one place to another. Before the use of lasers, information was sent and received as electrical signals through electrical cables. Today, we are able to measure precisely in nano-meters (billionth of a meter), and cut the materials very precisely with the help of a laser. The other uses of lasers in industries are welding, cutting, and carving. We use DVD players regularly to watch movies, programs, and songs. 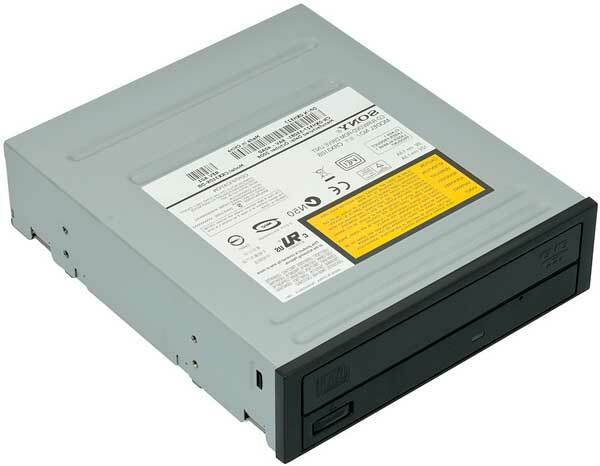 The DVD players get the data from a disc with the help of a laser. A laser points at the very fine details of a disc where the information is stored. After laser light hit the disc, some light is reflected and falls on a sensor. Then, the sensor interprets the data into an electrical signal for sending towards a TV. The other common electronic goods that use lasers are laser pointers used by the teacher, laser pointers used in celebrations, and toys. Lasers are playing a vital role in today’s medicine. The main uses of laser in medicine are laser surgery of eyes, healing the skin, treating the kidney stone, cosmetics, and many more. Today, humans have developed very sophisticated weapons of destruction. The missiles are able to reach the target location precisely with the help of GPS and laser guidance. 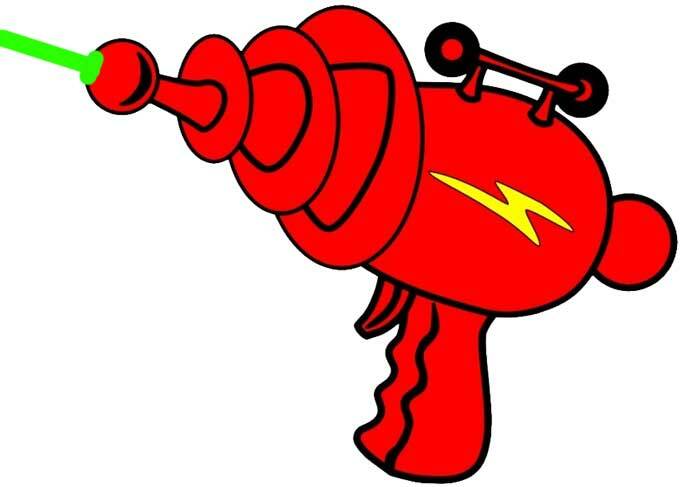 Laser guns are also introduced that can make a person temporary blind from distance of few kilometers. 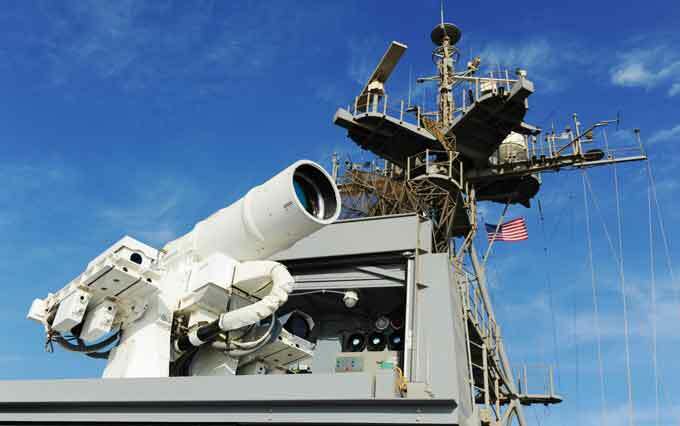 Furthermore, the laser that can damage and destroy objects directly on the skies, oceans, or ground are under testing. Lasers are used by scientists around the world to study the atoms, stars, and other cosmic objects. The most important part that lasers play is in the field of spectroscopy. 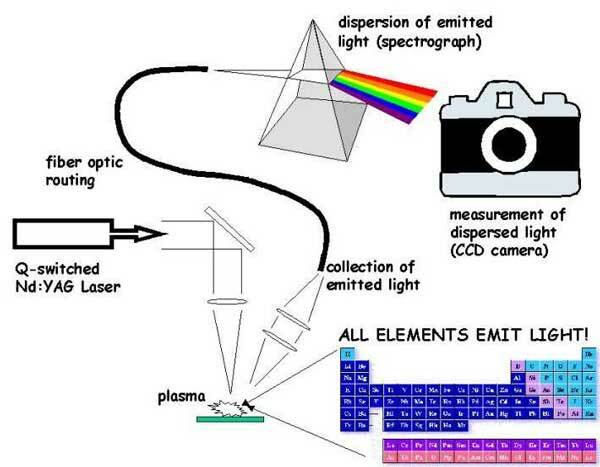 In spectroscopy, the spectra of the atoms and molecules are analyzed to find out about unknown atoms. The other uses of lasers in the field of science are in heat treatment, weather, photochemistry, nuclear fusion, and microscopy etc. Lasers can be used to push an object! But, you need at least 30 billion common laser pointers to a move a coin. In 2016, Stephen Hawking announced “Breakthrough Starshot proposal”. This proposal was aimed to push a small spacecraft to space with the one-fifth of the speed of light. Recently, scientists have discovered gravitational waves with the use of two large lasers. Abdul Wahab, "Lasers," in Science4Fun, April 12, 2019, http://science4fun.info/lasers/.